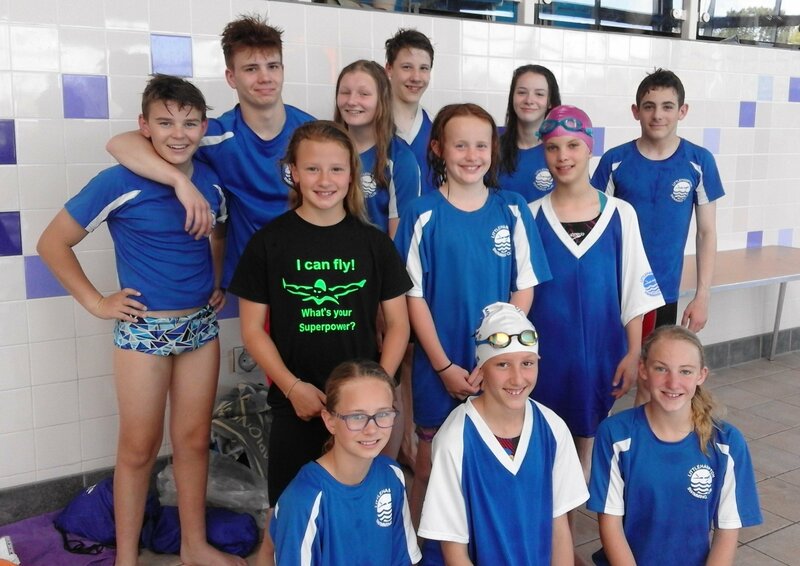 17 swimmers had a very successful meet at the Crawley Summer Splash last weekend. For many this were there first time competing long course. The early birds pictured above had a 7.40am warm up. There were new winter county qualifying times for Amelia Atterbury, Catriona Macleod, Ella Napier and Stephen Redman. Others improved their qualifying times and almost every swimmer swam new PBs. Ella Thornburg set a new club record with a time of 34.64 in the 10 year girls 50m freestyle. Madi Walker achieved one Gold, two Silver and a Bronze medal.